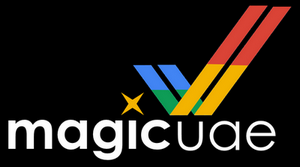 Ultimate Creative is back and celebrate it with his new free product MagicUAE. Prepare to live an incredible experience by reliving the frenzy of the Amiga on your PC. If you don't like shaders, jump on our Classic configurations perfectly optimized like an original Amiga. MagicUAE is not an emulation, it's an experience ! I do not understand what you are "selling"
The objective is to promote and help personal projects for Amiga as we did before in France. Everything is free of course. Today we come back with a new website for the international community. Don’t hesitate to go on the website for to share your project if you have one. I don't quite understand why the description starts off with something the shader forgot. That doesn't sound positive. Is it a bug fix? Also, what are RVB pixels? - The second one is Loading...MegaWatts Edition is available again. Remember last year, it was temporary available due to closure of Ultimate Creative. Loading was out in 2016 as bonus for Ultimate Creative A1200 case from A1200.net. The MegaWatts Edition was out in 2018 with 9 extra musics. All musics has been composed by Pseudaxos on Amiga. Last edited by 21stcentury on 12-Apr-2019 at 10:00 PM. Last edited by 21stcentury on 12-Apr-2019 at 09:59 PM. the latest Firefox 67.b10 complains about a valid security certificate and wont allow a download. I don't know why. There's no problem with Chrome and Edge. All files are hosted by Onedrive, it's fully secure. I recommand you to try again with another browser. After loading e.g. the MagicUAE True PiXels A500 configuration file, I can't find the truepixel shader in WinUAE's filter/masks configuration - but installation hasn't been straight forward anyway, probably due to a previous Amiga Forever installation that has been removed before. Does anybody have an idea how can I can add truepixel to the filters? In the next update, you will found on the website 2 versions : A setup file and another one for to install it manually. A new shader will be also available. I recommand you to subscribe on the the website for to stay informed. The next update will come in few days. In the future, MagicUAE will also contain a lot of pre-configured configurations (Amiga 030,040 etc... and PPC) as we did before for Ultimate Amiga Configurations). Okay thanks for your work. I understand. Also RVB would make an obvious typo. The next update will finally come later because it will be a big update with many new shaders, new configurations and surprises. I work for many projects at the same time.